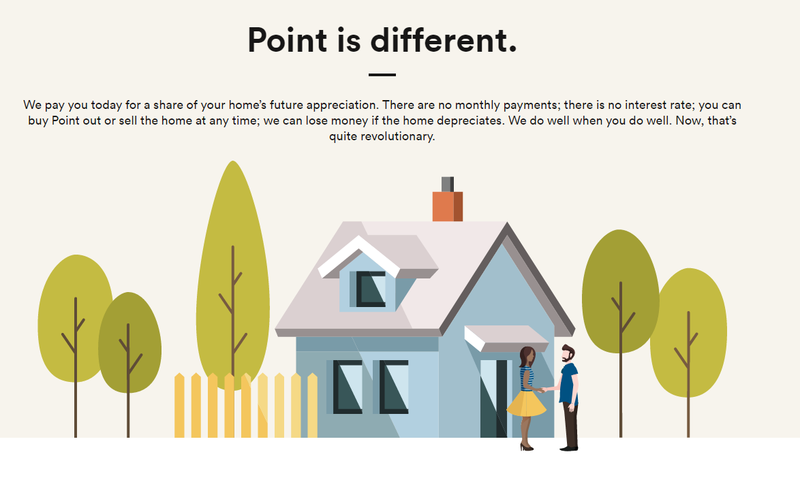 “Point” is a company that will give you a little money to help you buy a house. In exchange they will own a percentage of your house and they will be paid an even larger percentage of the amount your home appreciates in value when it is sold. Is this a “good deal?” Well, if it were a good deal, the people with all the money would do it. Instead, the people with all the money are offering the deal to you. But can someone explain this while strokin’ it?